Outsourcing Jobs - Cost Savings | 8x8, Inc. When a business is starting out, hiring people can quickly become one of its biggest expenses. This doesn't really change much as the business matures. But what is a business owner to do in order to grow? People are needed to keep everything running and they aren't free. That is true but smart business owners are turning to outsource jobs within their company. Outsourcing lets businesses grow by increasing their cash flow. Here's how it works: Hiring an employee is similar to a call center bringing all of its communications hardware and software in-house. The call center has to buy hardware and software, hire someone to install it and then maintain it. Modern call centers are more efficient and instead outsource all their communications hardware and software to cloud communications service providers. The call center pays a monthly fee and all they have to do is install software on their machines. At the end of the day, it's difficult to know if a call center is using an in-house installation or a cloud service provider. Back to hiring an employee, rather than outsourcing the employee, your outsourcing the job. There are companies that offer nearly any tasks you can think of as an outsourced task. It cost much less to outsource these task to experts than to hire and train employees. This doesn't mean every job should be outsourced. Some jobs that are unlikely to be outsourced include a security analyst within a government agency, a software developer working on a highly secret application, and a doctor. In other words, areas that a company sees as its core competency are not likely to be outsourced. You might be surprised to know that even CEOs and CFOs can be outsourced. There are companies that specialize in c-suit outsourcing. Need a temporary CFO but don't have the money to hire one? No problem, pay for as little as an hour of a CFO's time. Yes - there are companies that will outsource a c-suit executive for only an hour. Specifically for call centers, if nearly every job can be outsourced, is there really any reason to install communications software in-house? Is There A Need For VoIP Software, UCaaS, or CCaaS? It use to be common to pay the local phone company or some communications provider to install all of a call center's communications hardware and maintain it for a high monthly fee. That didn't include the software. Installing the software required a different company who also charged a high installation fee and ongoing maintenance fees. VoIP slowly started changing how call centers ran. VoIP reduced overall cost by eliminating a lot of the communications hardware that use to be necessary. In other words, the hardware and much of its associated software got outsourced. 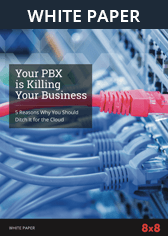 As the Internet became ubiquitous and the cloud became a common noun to describe hosted software services, communications software moved from in-house to hosted and prices dropped dramatically. With this latest shift, call centers are able to completely run off of UCaaS and CCaaS providers. Moving to cloud communication providers have lowered operating cost for call centers, allowing them to run more efficiently. Call centers are one part of a company but can be a high-cost part. When a company is able to save on call center operations, overall earnings for the company to improve. These savings can help shore up the company's financials, or get passed on to customers, or shareholders in the form of dividends. As you can see, outsourcing jobs aren't for one specific type of company. The majority of companies benefit from outsourcing some part of their operations if not the majority of their operations.